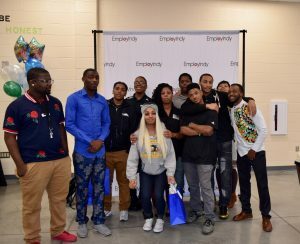 INDIANAPOLIS, IN – November 20, 2018 – Today nine young adults completed a training program that gives them the power and the tools to change their lives. 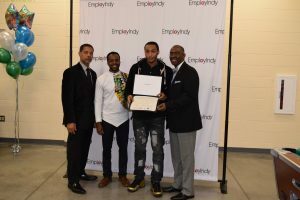 The Pivot Re-Engagement Center, a partnership between EmployIndy, Finish Line Boys and Girls Club, and Community Alliance of the Far Eastside (CAFE), celebrated their first cohort of the “Power Huddle,” a mindset and employability skills course that prepares individuals for their next step in establishing their career. 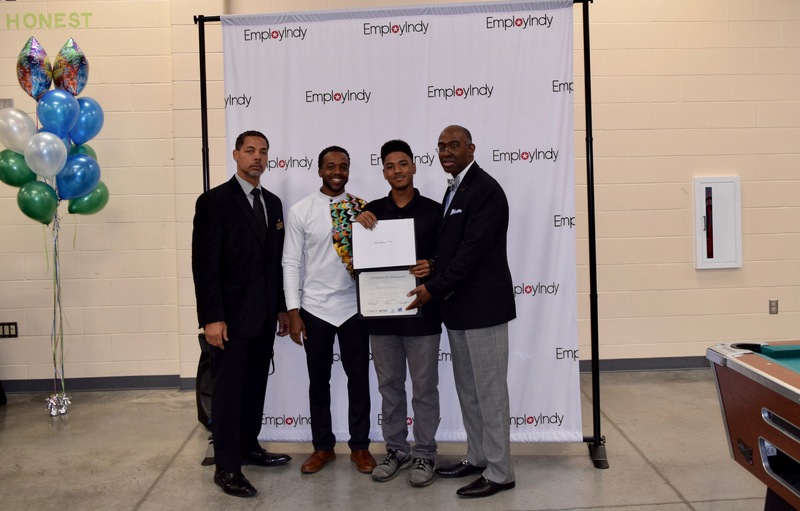 Located at the Finish Line Boys & Girls Club on North Post Road, the Pivot Re-Engagement Center is one of many ways that EmployIndy has focused efforts on the Far Eastside, a target area of their strategic plan where unemployment and poverty remain higher than the rest of Marion County. 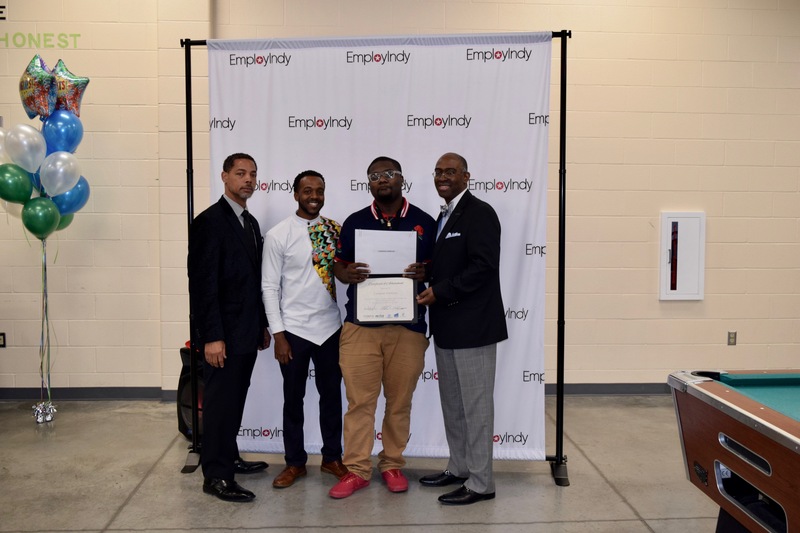 EmployIndy launched the Pivot Re-Engagement Center with a goal of registering 100 young adults in 2018. Since the soft launch in May 2018, 740 individuals have signed up. Not only does this signify that there is a need for a safe space, but there is also a desire in these young adults to grow. 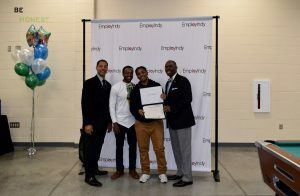 This is why the Power Huddle is a crucial first step to finding sustainable employment, discovering their passions, or engaging in post-secondary training and education. Once through the Power Huddle, CAFE is engaging participants by providing assistance in adult basic education enrollment and guiding young adults into their career through a variety of career exploration and service elements. 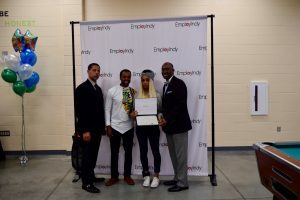 For Pivot participants, these opportunities provide a gateway for each individual to pursue his/her dreams. 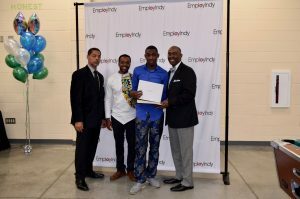 Jayden, another participant, is 17 and graduating early from Lawrence North High School. He finished all of his classes this past summer, and this fall he has been working at McDonald’s while waiting to walk at his high school graduation in December. Jayden has always wanted to become a carpenter but not looked into local training opportunities, so he was not sure how he could reach this next step. This sentiment was the resounding echo from the students. The Pivot Power Huddle opened their eyes to see where their passions align with their skills and current workforce needs in high-demand industries. Since completing the Power Huddle, Daysha has decided to not only re-enroll at IUPUI and get her bachelor’s degree in Communications, but she wants to apply for the Peace Corps by next year so she can work overseas with youth. 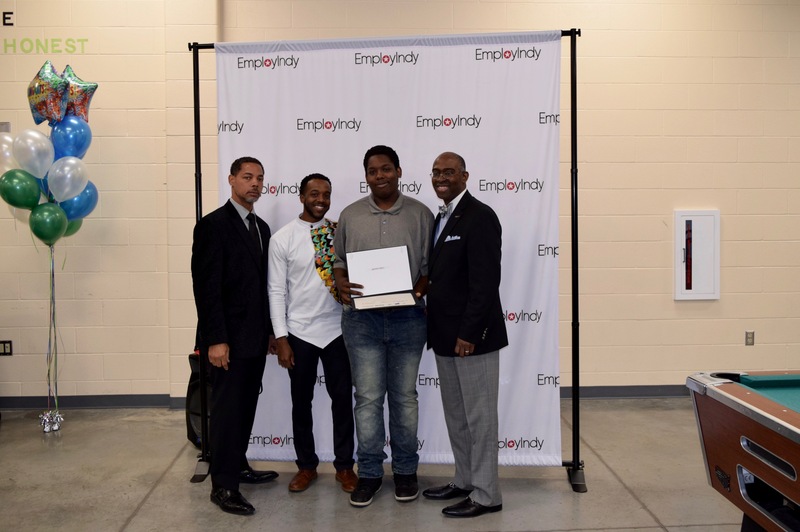 In addition, Jayden has looked into the best carpentry courses and wants to start his own business once he has achieved his certification and established a solid amount of reliable clientele. EmployIndy’s goal is that all young adults will understand their potential to excel personally and professionally. 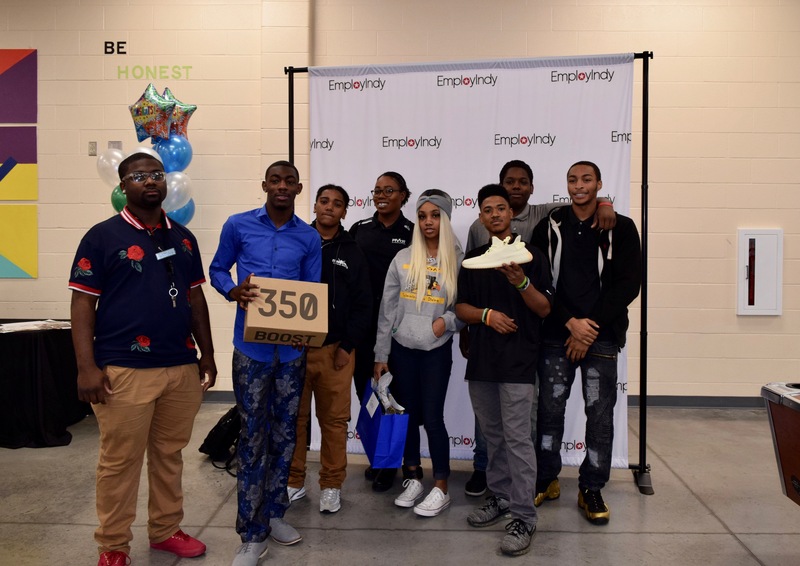 With an estimated 30,000 young adults in Marion County who need to reconnect to postsecondary education and better careers, the stakes are high. However, EmployIndy believes that progress has to happen at an individual and granular level, and these nine individuals have begun the journey to improving their lives by learning more about themselves, their passions, and their potential for success. 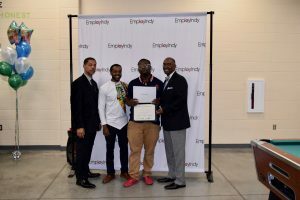 “I want to recognize all of the Pivot employees: They do such a good job making sure everyone has the resources they need, and you can genuinely tell that they care about you. I know that they don’t have to do what they do and we all really appreciate it,” said Daysha. The second Power Huddle cohort will last one week and begin on December 3rd. 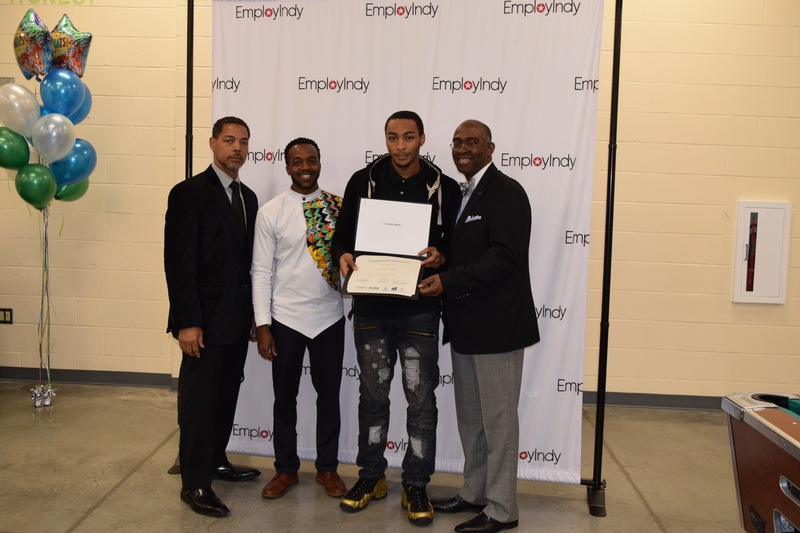 Info sessions will take place November 27th – 30th daily at 11:30am at the Finish Line Boys & Girls Club. Plans are in the works to offer employer tours and invite businesses to come and inform potential participants about their organizational and hiring needs. 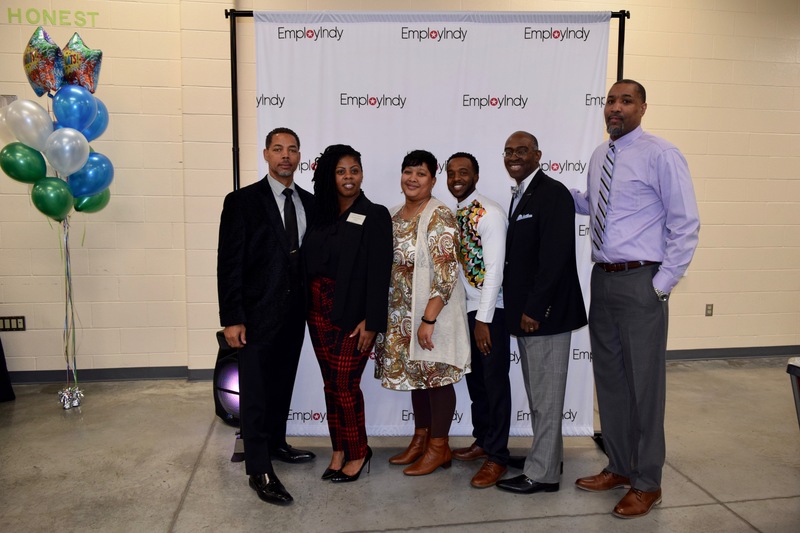 EmployIndy guides the local workforce ecosystem and makes strategic investments to remove barriers to quality employment for underserved and underrepresented residents. As the workforce development board for Marion County, guided by 21 business, civic, education, and non-profit community leaders, EmployIndy invests $20 million in public, private, and philanthropic funds for both youth and adults annually. 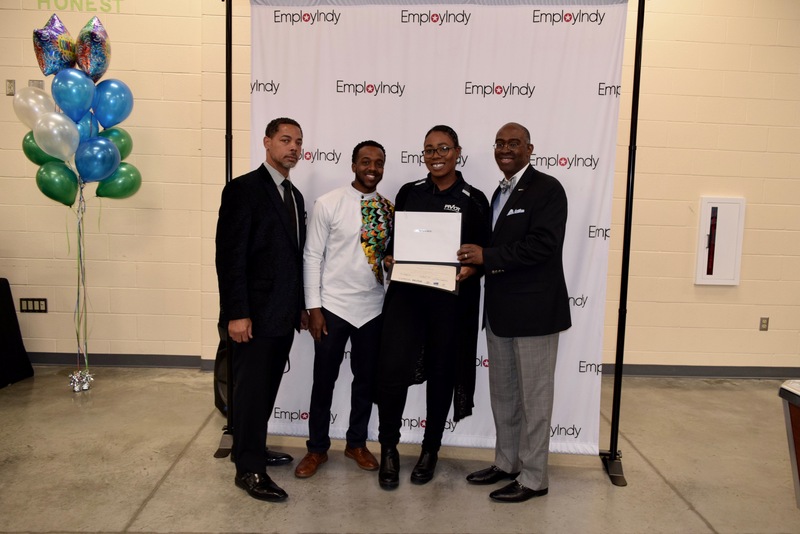 Since 1893, Boys & Girls Clubs of Indianapolis have served the Indianapolis community. 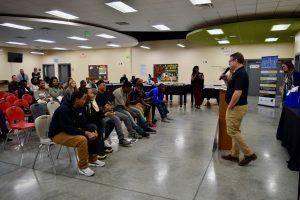 With five facility-based Clubs and five school-based sites, BGCI serves nearly 7,000 youth annually in the areas of career exploration and educational enhancement, citizenship and leadership, the arts, and health and fitness. For additional information, please call (317) 920-4700 or visit www.BGCINDY.org. 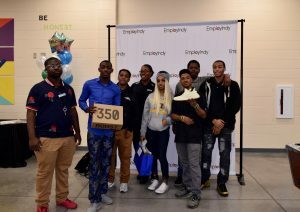 Follow Boys & Girls Clubs of Indianapolis @BGCINDY and “Like” us on Facebook at Facebook.com/bgcindy. CAFE’s mission is to offer direct aid to residents of the Far Eastside who are in desperate need. 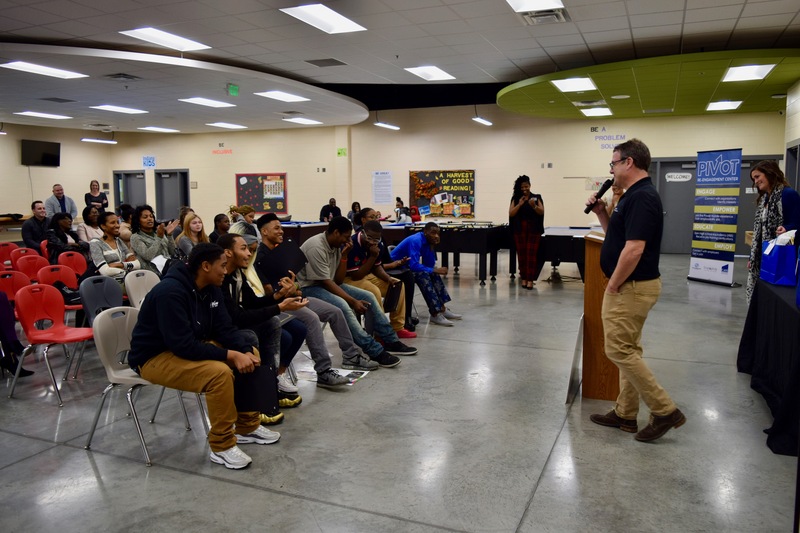 CAFE offers programming that supports youth and seniors alike, all with a continued focus on improving the quality of life for those who live, work and worship in the Far Eastside community. One of CAFE’s leading programs is their Center for Working Families, which helps transition families from living paycheck to paycheck to investing in their future – not only getting a job, but a career; not only meeting expenses, but saving for their first home.